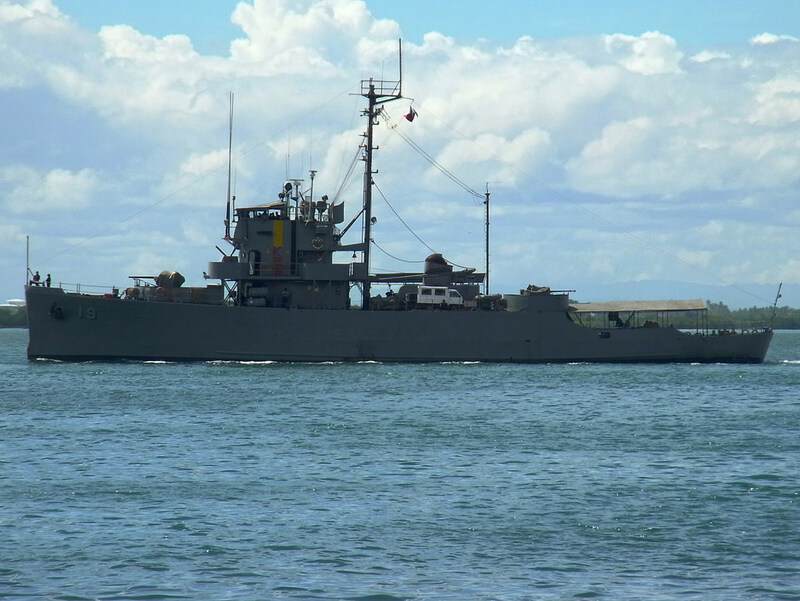 MANILA, -- As more modern naval platforms are procured and commissioned, Department of National Defense (DND) Secretary Delfin Lorenzana said plans are afoot to decommission World War II vintage ships still in service in the Philippine Navy. He made this statement during Friday's welcoming ceremonies for BRP Andres Bonifacio (FF-17), the country's third Hamilton-class cutter. Deactivation of these senior vessels will allow the Navy sufficient personnel to man ships coming from the pipeline and thus ensure a more capable and credible naval force. World War II ships in PN service include the BRP Rajah Humabon, BRP Rizal, BRP Malvar, BRP Quezon and the BRP Laguna among others. The Philippine Navy BRP Miguel Malvar - PS 19 Malvar class corvette.